'We All Fall Out' is a post apocalyptic family drama shot on Super 16mm film for Swinburne University of Technology. The film follows masculine father Robert and his diabetic daughter Cynthia, struggling to survive in a nuclear bunker. With food supplies running short, Robert resolves to manipulate Cynthia into venturing out to the post-apocalyptic wasteland alone so that he can survive longer. 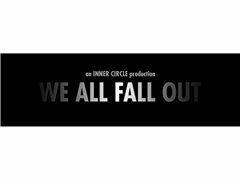 A slow-burn standoff between a selfish father and selfless daughter, 'We All Fall Out' explores themes of masculinity, innocence, and the notion that society raises its men to look after themselves and its women to look after others. Rehearsals will take place throughout September at the convenience of the selected cast. Production will take place in late September (likely the Saturday 29th & Sunday 30th), but note that dates are not confirmed at this time. Dear all applicants - just wanted to highlight that there was a typo made in question 2 (regarding a short listed audition with another male actor). The shortlisted audition will be with the shortlisted FEMALE applicants, in the running to play Roberts daughter, Cynthia. Despite being a mountain of masculinity in Cynthia's eyes, Robert is a selfish coward intent on manipulating his way to a longer life - even at the expense of his own daughter's. With food supplies dwindling, Robert needs to take action. Unable to watch his daughter die or kill her himself, he resolves to manipulate her into braving the nuclear wasteland alone, knowing she will never return. Strong, unconventional role for a male actor aged between 32 and 46 years of age.